This is a fantastic prop! You borrow a bank note from one of your spectators and then turn your back for a second. 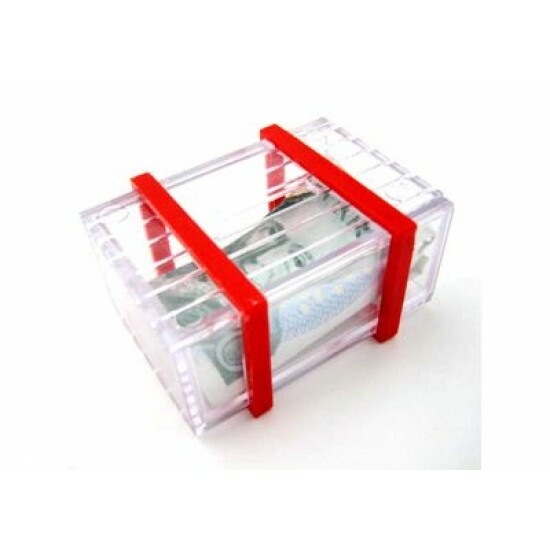 When you face them again you hand them a little clear box which is seen to contain their bank note. The challenge is to remove the bill from the box without breaking it. Of course they will be unable to do so until they know the clever secret!